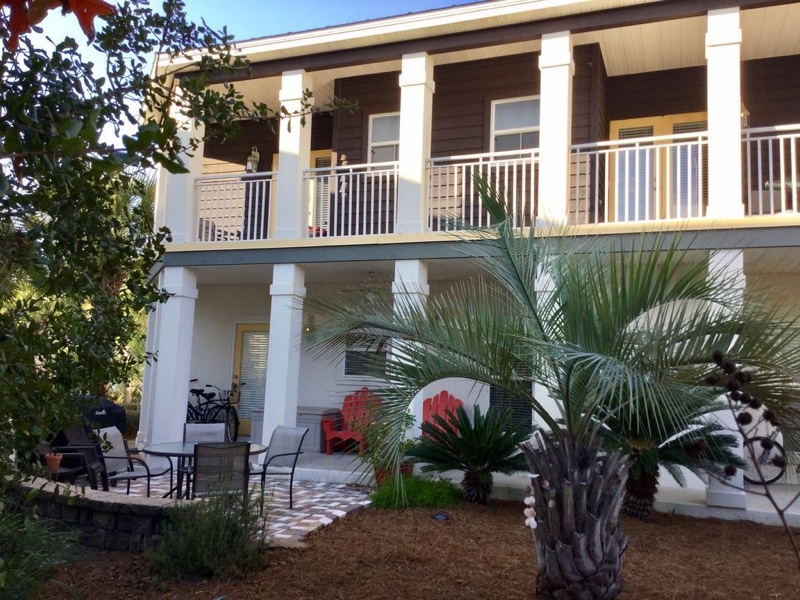 Beach Bummin is a beautiful home with 3 bedroom, 3 baths, plus a kids bunk area. Two of the bedrooms are spacious master suites. There are wonderful outdoor areas which include a balcony, long porch and patio. We are a short block from the pool and the tram pick up is across street from our lot. There is ample parking in front and in back of our home. You will find a well stocked kitchen, beach chairs, umbrella’s, beach towels. games, puzzles, books, etc. .